Since antiquity, the Corinthia has formed a rather fitting stage for imaginative narratives and outright fictions. In the long Roman era, we have frequent examples of writers (e.g., Apuleius, Lucian, Libanius, and Themistius) placing their fictional characters and events in Corinth and the Isthmus. And in the modern era, scholars have often turned to the imaginative exercises that make use of archaeological discoveries. Consider Jerome Murphy-O’Connor’s, “The Corinth that Paul Saw” (Biblical Archaeologist 47 (1984), 147-159), or the opening passages of Donald Engels’ Roman Corinth, which considers what a first century visitor might have seen. 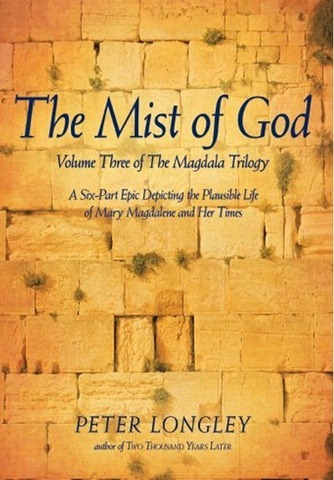 Or consider Peter Longley’s The Mist of God, the third volume of the Magdala Trilogy, a series about Mary Magdalene and the birth of Christianity. In this 700 page epic, the author adopts historical and archaeological knowledge of Corinth to place his characters. It’s a testimony, I suppose, to the historical significance of the city that modern writers continue to find it a fitting arena for placing their characters. And certainly the archaeological investigation of the Corinthia has produced a knowledge of ancient Corinth that makes such fictions a little more compelling. I am also glad that we have these modern writers who attempt to turn often dusty archaeological reports into living environments.